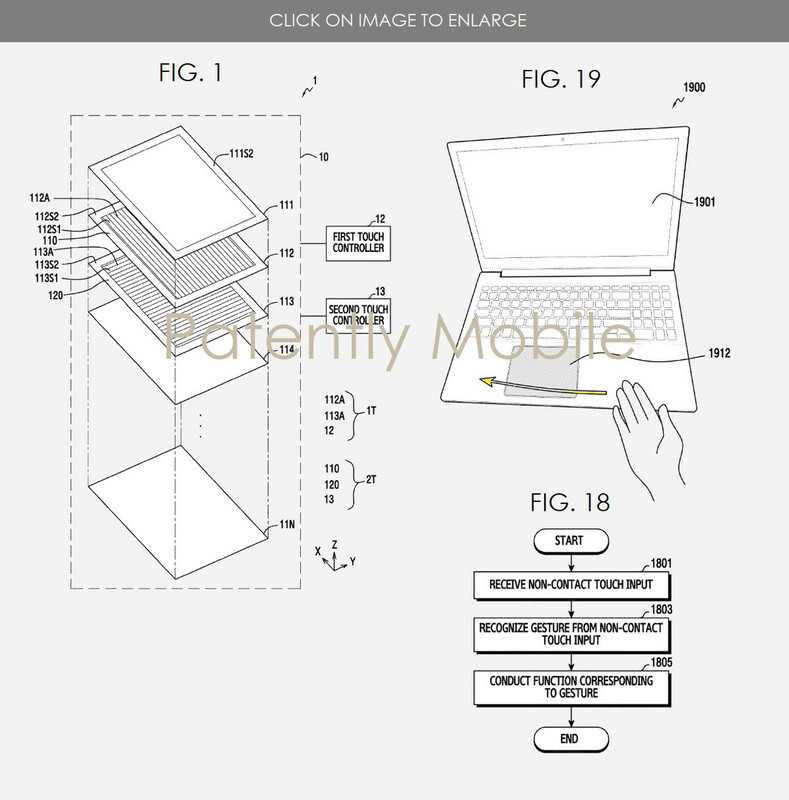 You'll be able to wave 'hi' to your laptop to turn it on if Samsung brings this patent to life. According to patent hunters at Patently Mobile, Samsung was awarded a US patent just last month describing the use of multi-layer electrodes for recognizing "non-contact" touch inputs. The technology could allow users to open specific files, toggle features, take screenshots, or input any other command simply by waving a hand over the touchpad. The patent image below reveals how straightforward the contactless feature would be for the end-user as illustrated by Samsung. The special electrodes underneath the trackpad surface, however, would not be able to distinguish between body parts and will instead determine intentional inputs based on a time threshold. Thus, users who wave too slowly or too quickly would not have their inputs registered by the notebook. 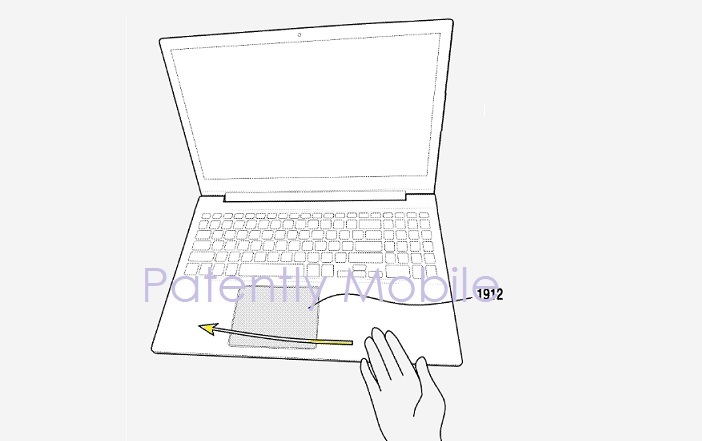 A "non-contact" trackpad could be Samsung's answer to Apple's Force Touch technology that has now become commonplace on MacBooks and even iPhones as 3D Touch. The feature could help distinguish Samsung notebooks from the competition, although its execution and software would both have to be reliable. There is a risk of the feature becoming a novelty and artificially inflating the prices of Samsung notebooks by forcing unwanted tech onto users. 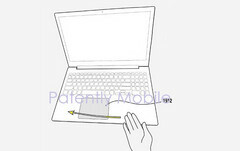 Nonetheless, many technology patents never come to fruition and it could be some time before we see market-ready notebooks sporting contactless trackpads - if ever.